What Do Pumpkins Have to Do With the Devil? - What? Why? How Come? What Do Pumpkins Have to Do With the Devil? 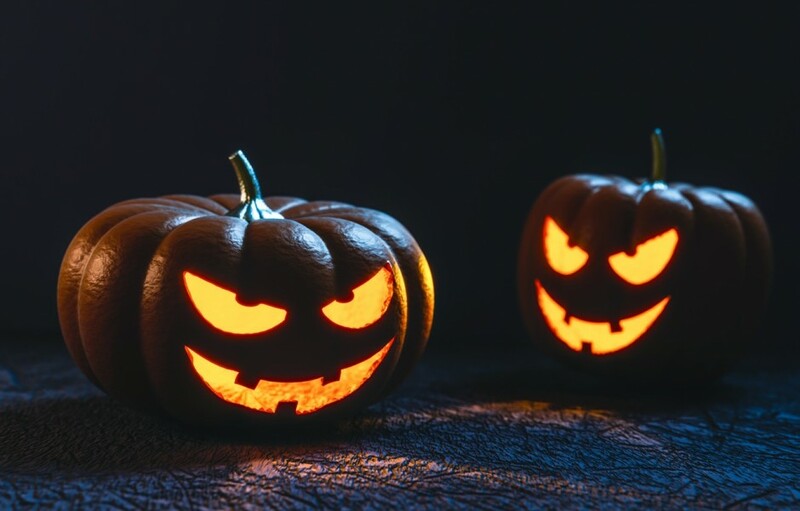 It is believed that the idea of the Jack O’ Lantern comes from an Irish folktale about Stingy Jack, a man who invited the Devil to have a drink with him. Not wanting to pay for the drinks, Jack convinced the Devil to turn himself into a coin so that the drinks could be paid for. When the Devil complied, Jack instead put the coin in his pocket, next to a silver cross, essentially trapping him. Jack eventually freed the Devil, under the condition that he would be left alone for one year and that his soul would not be taken should he die. The following year, he played another trick on the Devil, ensuring ten years of security. When Jack died, legend has it, God would not allow him into heaven because of his trickery and the Devil kept his word and would not allow him into hell. Instead, Jack was sent off with a piece of burning coal to light his way, which he put in a carved-out turnip. It is said that he has been roaming the world ever since. According to Today I Found Out, the term Jack O’ Lantern was also used in the 17th century as another name for the ignis fatuus (also known as “Will O’ the Wisps”), the strange light sometimes seen over marshland, possibly caused by the combustion of gases as organic matter decomposes. The name Jack may have been used simply because it was a generic name commonly given to a lower class man when his name was not known. Curiously enough, if this is the origin, the Will from the Will O’ the Wisps story, h as a similar story to that of Stingy Jack, though the man in question was an evil blacksmith, named Will Smith. As to how these lanterns came to be associated with Halloween, we need only to look at the origins of the holiday. The name Halloween comes from All Hallow’s Eve, which is the night before the religious holiday, All Saints Day. This is a day to remember all saints and martyrs. As is true with many religious holidays, the date coincides with a pagan one, in this case Samhain. The rituals surrounding Samhain were based in the belief that the dead came back as ghosts during the night prior to the holiday. To scare them off, people wore costumes and masks and left food and wine on their doorsteps to keep the spirits out of the home. Songs and jokes (tricks) were also thought to keep evil spirits away and became common occurrences on that night. In Ireland and Scotland, people carved their own “lanterns” by carving scary faces in to potatoes and turnips to frighten away Stingy Jack and other evil spirits. In England, they used large beets. Immigrants to the United States soon discovered that pumpkins were an ideal substitute, and thus the pumpkin Jack O’ Lantern was born. 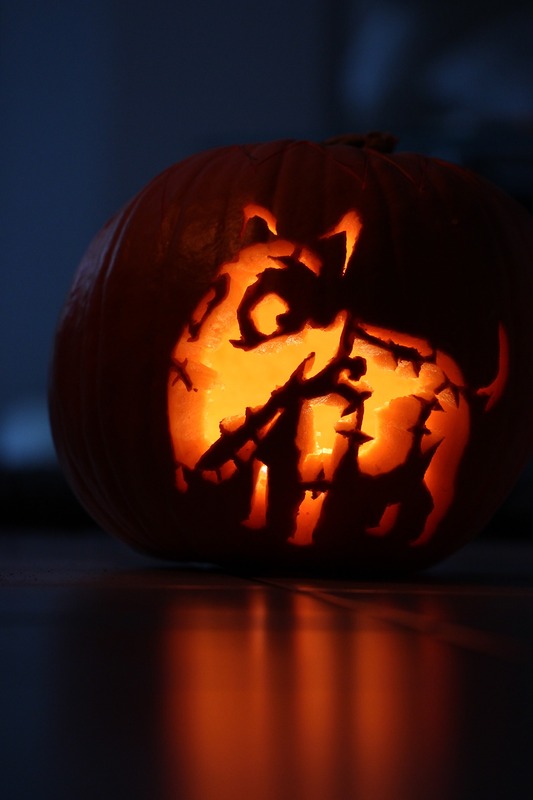 Today Jack O’ Lanterns can be spooky or silly, simple or intricate. While many stick with the simple eyes, nose and mouth (with or without teeth), others spend time creating works of art with elaborate images including faces and even landscapes. Some are lit using the traditional candle, while other use a flashlight or flameless candle instead. While it won’t serve as a lantern if it hasn’t been carved, some people paint faces on their pumpkins instead. 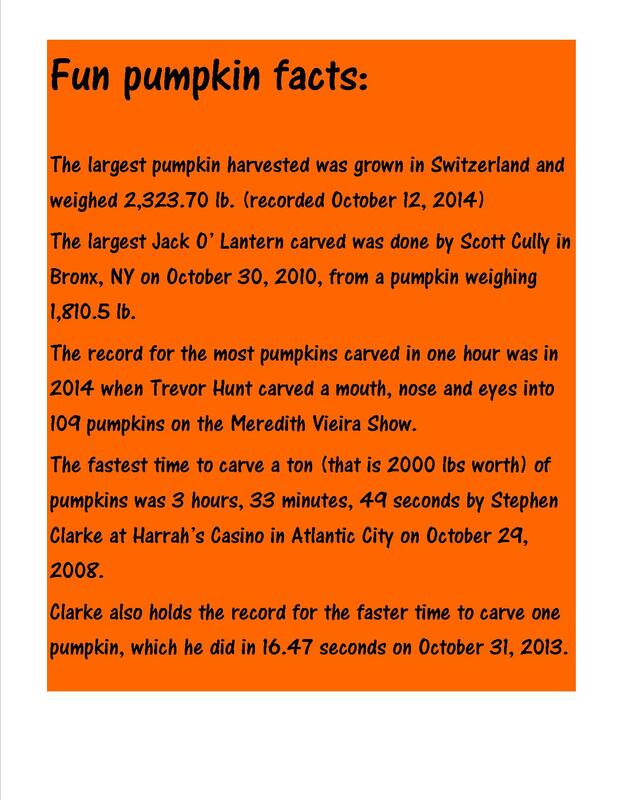 Are you carving a Jack O’ Lantern this year? What does yours look like? I loved this! So very interesting.